Training and Support: As a new Coaching Zone franchisee, you’ll undergo a comprehensive training programme which will give you the necessary skills and knowledge to successfully run your group personal training studio.Once your doors open, you can expect ongoing support and performance management from head office to help you grow your business and motivate your members. Marketing Support: From internal finance, insurance and marketing to preferred suppliers, discounted equipment rates and advanced technology and systems - we do all the hard work so that you can focus on growing your business and keeping your members happy!You’ll benefit from the services of our experienced Brand and Marketing Team including campaigns, promotions and digital advertising, as well as collateral creation that supports your local marketing initiatives. Number of Units: Currently five locations and growing across Australia. Exclusive business ownership opportunity to own a world-class Coaching Zone group personal training studio. Coaching Zone combines tailored group personal training and dedicated coaching with nutrition programs and support. 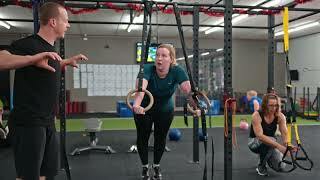 We use the latest technology and techniques in a 45-minute workout, followed by 15 minutes of coaching to review member progress and educate on a range of lifestyle factors that can accelerate results. We also offer our members a nutrition portal with 1000s of recipes. Coaching Zone is not your average group personal training studio. We’re a franchised business, backed by fitness leaders and packed with expertise, brand recognition, professionally qualified coaches and top-quality, result driven, training programs. Coaching Zone will support franchisees in all sectors of the business, so they can focus on motivating staff and creating a great atmosphere. It is encouraged and supported that franchisees own more than one site once their first location is up and running seamlessly. Belgravia Health and Fitness is home to a number of prominent Australian fitness brands, including Genesis Health and Fitness, Coaching Zone and Ninja Parc. The Coaching Zone Network is made up of highly trained professionals, with years of experience and knowledge of the industry. Candidates wanting to join the Coaching Zone Network must be driven and ambitious. Franchisees will be empathetic and approachable, with a passion for customer service and results. Their motivation to work hard is unquestionable and they live and breathe fitness. Moreover, they want to improve the lives of their members and contribute to their success. They want to make a difference – the Coaching Zone way! Coaching Zone is looking for team-players who have a perfect balance of being passionate and motivated, yet compliant and willing to follow established processes and systems. Coaching Zone is expanding across Australia. Join the fitness franchise experts and operate your very own studio in an exclusive territory. Get in touch to find out more!